I received this product for free from Moms Meet, May Media Group LLC, who received it directly from the manufacturer. As a Moms Meet blogger, I agree to use this product and post my honest opinion on my blog. 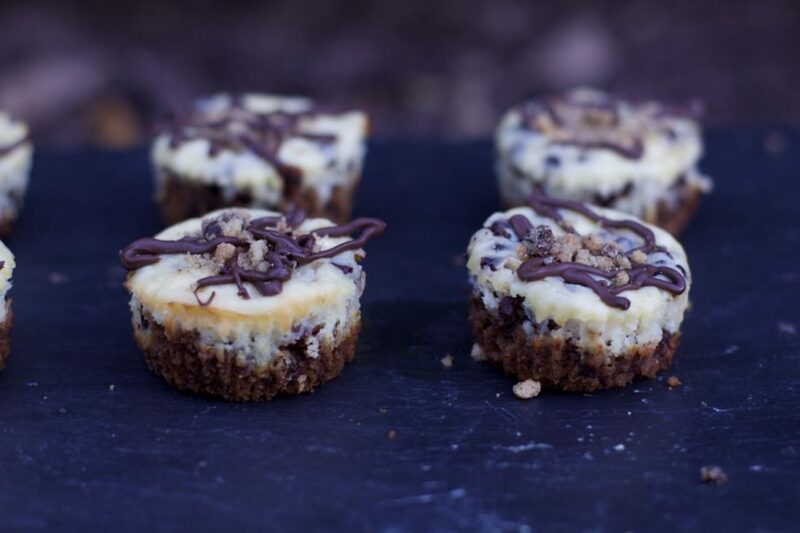 The opinions posted about Chocolate Chip Cheesecake Cups Recipe are my own. Ever crave cheesecake but don’t want to make a full 9 inch spring form pan? 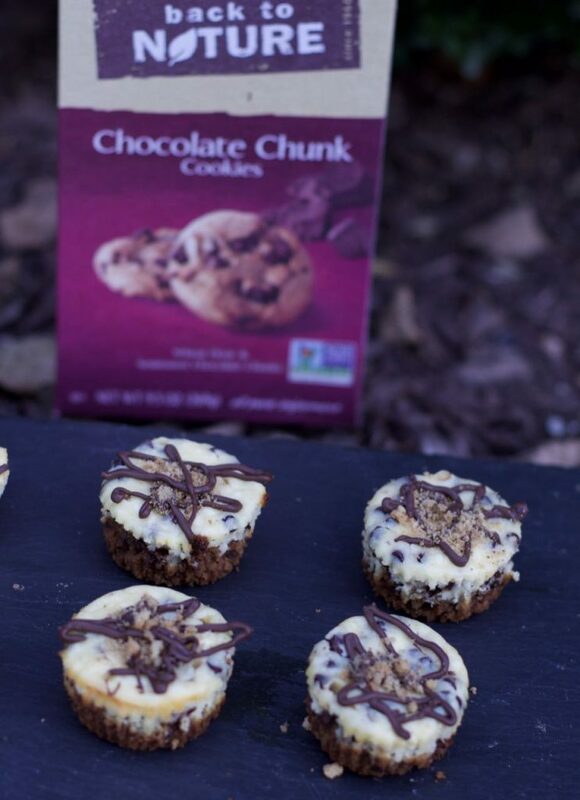 We have the solution with these Chocolate Chip Cheesecake Cups made with a delicious chocolate chip cookie base. Don’t start worrying, we used store bought cookies for the crust to save on time. Get the satisfaction of cheesecake in individual servings that will also freeze well. 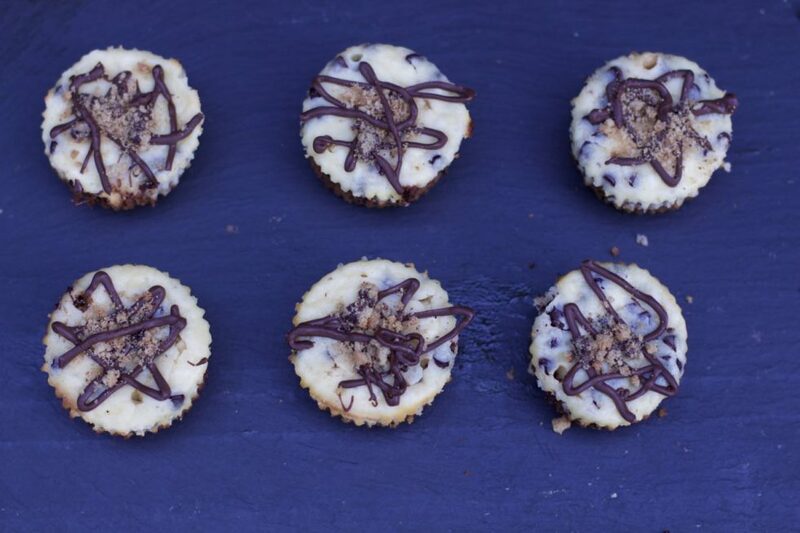 This is a win win dessert idea for any occasion. These cheesecake cups look so beautiful spread on a platter for entertaining but easy enough to make for a regular weeknight dessert. Yes, my family gets spoiled when it comes to desserts. 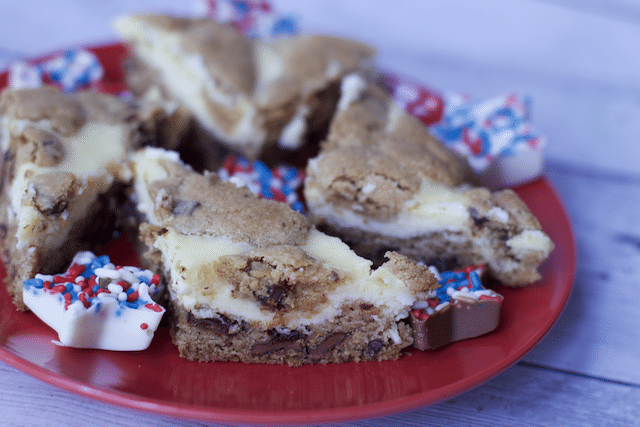 We took a major short cut and simply crushed up store bought cookies to make this decadent flavor combination. 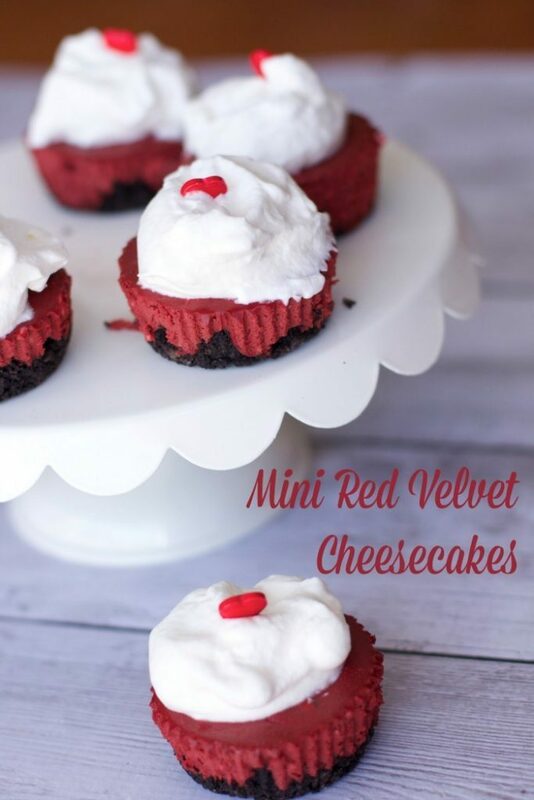 What you need for these mini cheesecakes? We did not use just any chocolate chip cookies but Back to Nature Chocolate Chunk Cookies. These cookies made with wheat flour and semisweet chocolate chunks. All of the cookies are either Non-GMO or Organic Certified. They contain no hydrogenated oils or high fructose corn syrup. One package retails for $3.49-$3.99 each. 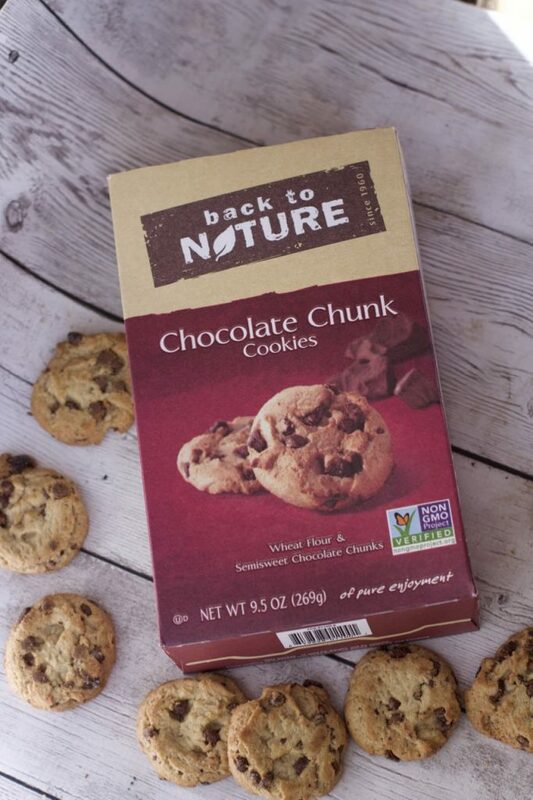 Back to Nature Chocolate Chunk Cookies are available to purchase at almost all major retailers, including Kroger, Ahold Delhaize stores, Publix, Whole Foods Market, and Sprouts Farmers Market. To find a store near you, visit: backtonaturefoods.com/where-to-buy. You can crush your cookies in a bag or in a food processor. If you were doubling this recipe I would use a food processor but its just as easy not to mess up another appliance for 12 cheesecakes. Remove about 1/4 cup of the crumbs for garnish. In the same bag you crushed your cookies, mix in the melted butter and evenly distribute the crumb mixture into cupcake liners. Press down the crumb mixture firmly into each cupcake liner. Make the cheesecake filling and bake. 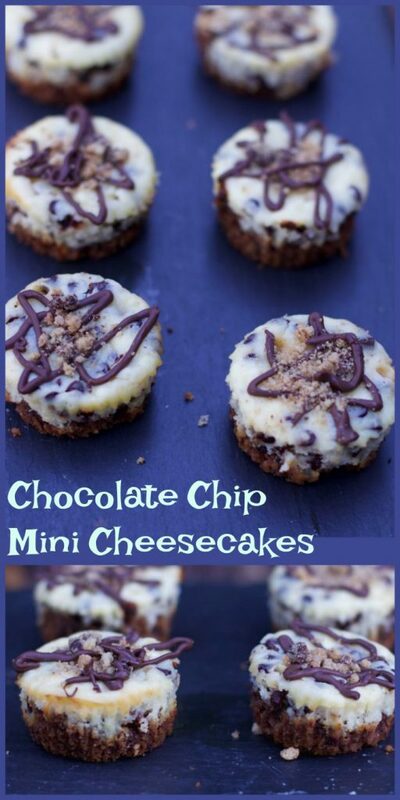 Allow the cheesecakes to cool completely then you can adorn them with extra melted chocolate and cookie crumbs. 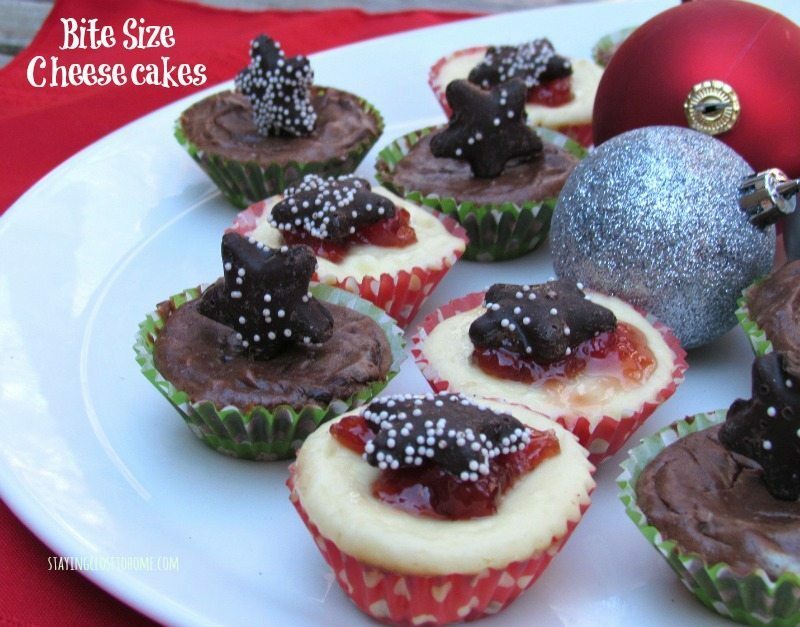 If you don’t have time to decorate these yummy cheesecakes, they are prefect they way they are. But I love how they turned out and look like something you picked up at a bakery. Homemade desserts are a great way to incorporate some semi-homemade ingredients Plus you have the ability to choose non-gmo products like back to Nature products, to serve your family. Be sure to pin this for your next cheesecake craving. The prefect individual dessert idea that is fancy enough for guests and easy enough for any weeknight dessert. Place 17 Back to Nature Chocolate Chunk Cookies in a gallon size resealable bag. 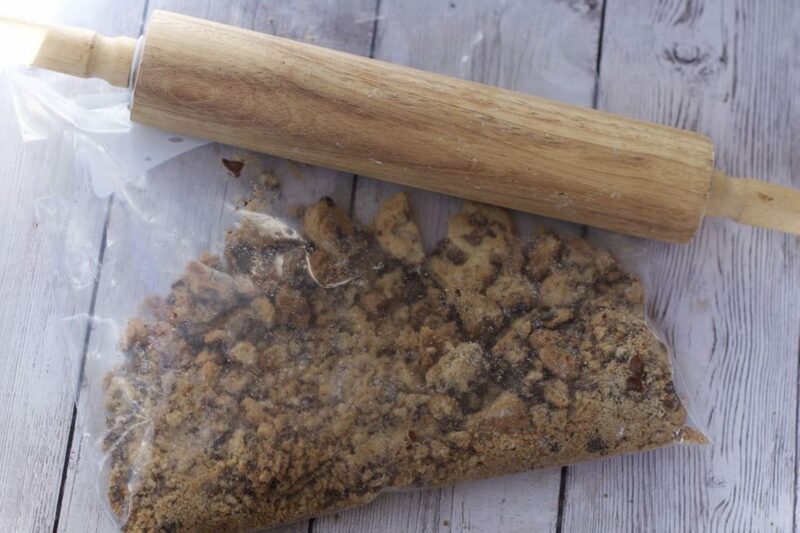 Seal all but one inch of the bag and hit with a rolling pin to crush the cookies until a fine crumb. 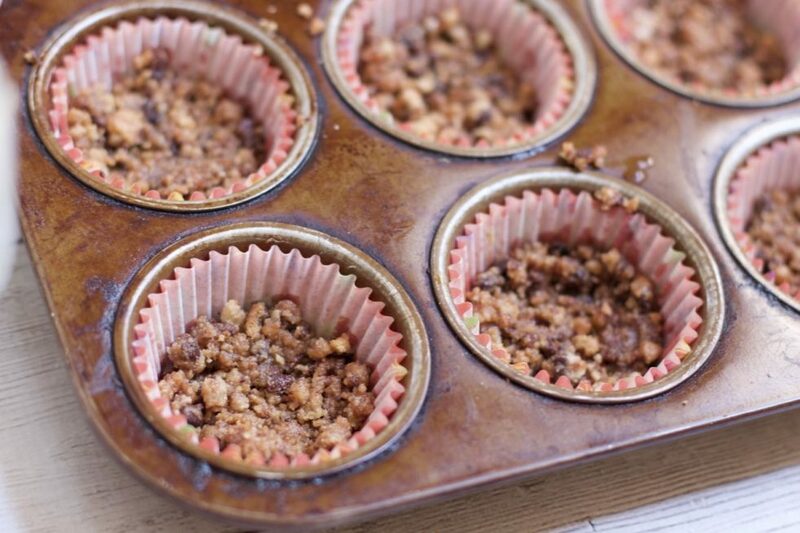 Take out 1/4 cup of crumbs and set aside. Stir together cookie crumbs and melted butter. Press about 1-2 tablespoons of the mixture into the bottom of each muffin liner. Beat cream cheese until fluffy. Beat in sour cream, egg, sugar, and vanilla extract until only a few lumps remain. Stir chocolate chips with flour in a small bowl, then fold into cheesecake mixture. Evenly divide (about 2 tablespoons each) cheesecake among crusts. Use a ice cream scoop for ease. Bake for 18-20 minutes, until they just begin to brown. Cool completely and refrigerate for at least 3 hours or overnight. optional topping: Melt the 2/3 cup mini chocolate chips and oil/shortening in a small bowl in 30 second increments, stirring between each. Place melted chocolate in a small sandwich bag and cut off one tip. 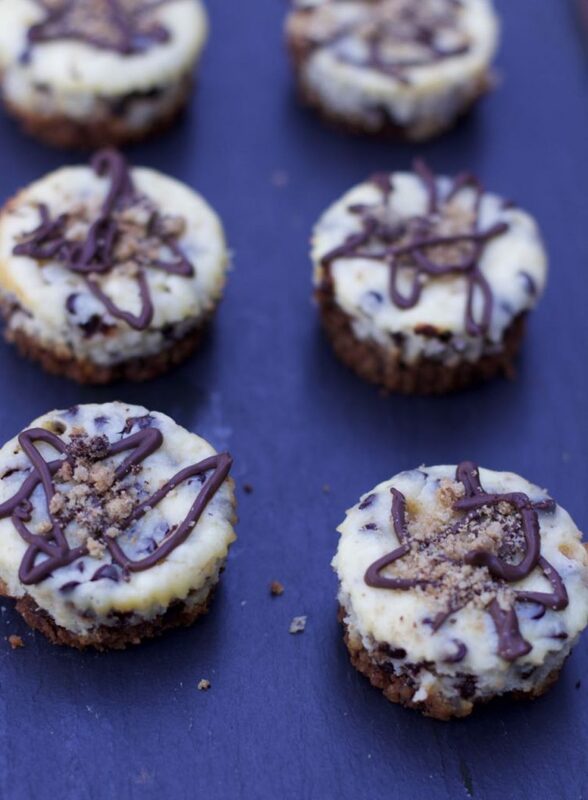 Drizzle over cheesecakes and top with crushed cookies, if desired. Store in refrigerator in an airtight container. Cheesecakes will last up to 4 days in refrigerator or can be frozen for up to one month. Defrost then add your desired toppings.